Extrusion, punch, header, drawing dies etc. Our company specialized in the manufacture of matrices of high precision cold forming of metals and carbide. Since our foundation, we work guided by values that have remained unchanged. 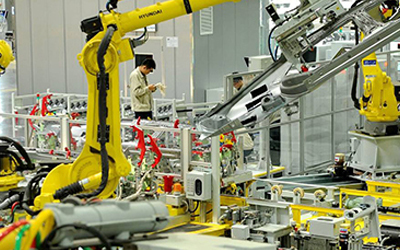 Since 2005, the department of technological innovation has developed new manufacturing processes and automated robotized. 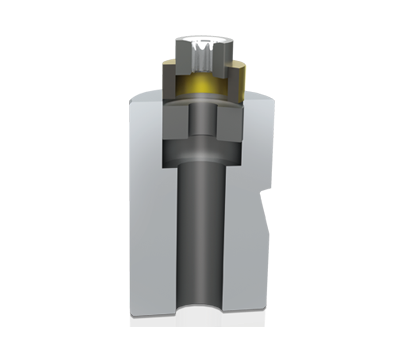 The use of CAD/CAM has been extended to all the processes involved in the manufacture. The simulation of production processes, we improve the accuracy and the level of finish of our products. Each machine has a terminal control program of production TSP, with which each phase is fully monitored, with better access to information, a more effective control and greater optimization of resources. The matrix is produced at WFMT GROUP in the department of electro-erosion (EDM). This department is fully automated with system power and robots EROWA. The centers of die-sinking EDM, erosion by wire, machining center of the electrodes, CNC lathes and device 3-D control, are adapted to the same system EROWA, allows for measurements to be performed only once at the beginning of the process. These measurements are transmitted directly to a robot palletized that automatically feeds introduced in the various machines on the matrices and the electrode to be processed. Header dies are fundamental parts of the process of cold forming. They are exposed to a lot of pressure, to a greater wear and cracking. Because of this situation, WFMT GROUP has developed innovative designs to improve tool’s performance, facilitate the replacement of damaged components and thus reduce the price. 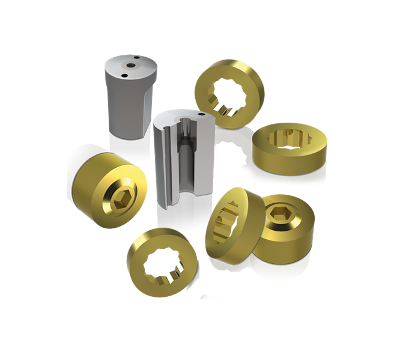 The performance is improved by choosing qualities of carbide, or by applying different surface coatings to be able to replace the damaged items and reuse the rest of the components. The header dies are carry out among others, the following functions: embossing, reduction, stamping, drilling and cutting. WFMT GROUP has a whole department of quality control a temperature-controlled room where 100% of the production is checked. Systems of measurement, three-dimensional, gauges and optical microscopes, computerized, allow the maximum accuracy in the control of any type of surface. In addition, the parts are already measured during the production process according to a protocol of a self-control pre-established, in which each phase of previous work is verified. This allows to detect errors at an early stage. Thanks to the production program TSP specially designed by our company, each piece has a 100% traceability throughout the production process. A TECHNICAL SERVICE, DESIGN, EXTENSIVE EXPERIENCE WFMT GROUP have been developed over than thousand studies of parts produced for the cold deformation, multi-station machines. All the designs provided by the clients are evaluated to validate its feasibility and constructive in order to optimize the costs of production and performance. Thanks to a close collaboration with suppliers of carbide and steel, WFMT GROUP, advises its clients on the materials of construction of the tools most appropriate to improve performance. We do comprehensive analysis of the drawings when the information of our customers about on low yields or broken tools. In collaboration with the client, any of design modifications where deemed appropriate to drawings can be made. CENTRE MACHINING The department of the machining center high-speed of WFMT GROUP assists the other two departments: machining and EDM. 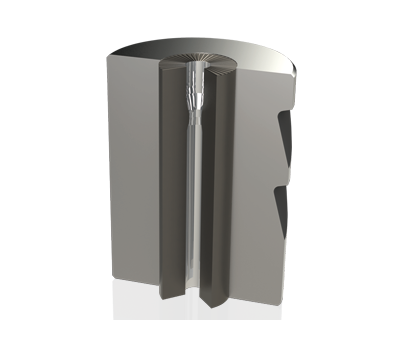 With up to 42.000 rpm, we produce the electrodes used on the machines, EDM. 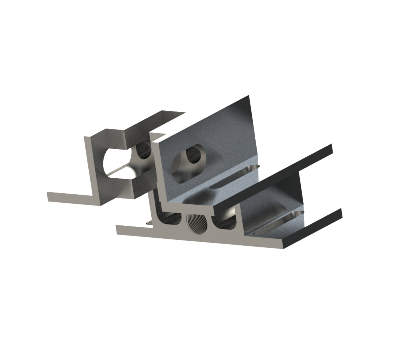 Are also machined steel parts of high hardness (up to 60-64 HRC) with geometries more complex. 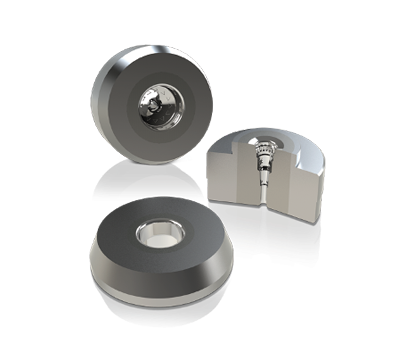 This gives a service life of the tools with very small tolerances, which allows us to provide all types of markets. 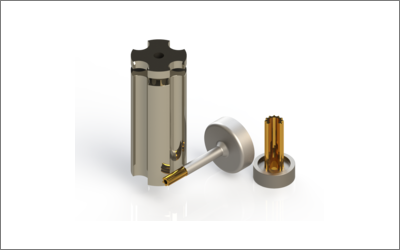 Thanks to the high speed surface finish quality has improved, with roughness up to Ra of 0.4. POLISHING Last step in the manufacturing process of the products WFMT GROUP, it is more craft of all. Here we give the polished mirror of the working area of the tool.. 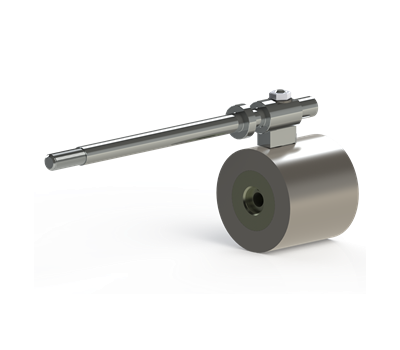 The quality of this work will have a direct impact on the performance of the tool. AUDIT WFMT GROUP has a whole department of quality control a temperature-controlled room where 100% of the production is checked. Systems of measurement, three-dimensional, gauges and optical microscopes, computerized, allow the maximum accuracy in the control of any type of surface. In addition, the parts are already measured during the production process according to a protocol of a self-control pre-established, in which each phase of previous work is verified. This allows to detect errors at an early stage. Thanks to the production program TSP specially designed by our company, each piece has a 100% traceability throughout the production process. PRODUCTION More than 1000 studies of cold forming produced parts Production and design of all type of projects and tools Studies of special parts for all kind of machines Since 2003, the department of technological innovation working in the automation of the implementation of process, with the construction of a new grinding internal machine, fully automatic CNC MACHINING In this department the first phases of the production are carried out. WFMT GROUP is equipped with 8 OKUMA lather that allow you to achieve what no one else can do: the machining of any type of carbide, including the ultra-hard. This has been possible thanks to the know-how of WFMT GROUP the technical team has spent many years experimenting and testing to achieve this level of skills and work with new qualities of carbide appeared on the market. The machining department also has the responsibility for the performance of required finishes for each part. MACHINING OUTSIDE Has all the latest technology for the machining of any type of profile, such as polygons, oblong, etc., with rough finish up to N6. Any geometric shape can be carried out without damage to the carbide...the erosion only for the minimum required MACHINING INSIDE The department responsible for the machining of inner circular shapes, automatic, robotic, working on the inner shapes circular, through programs designed in CAD-CAM by the technical our team. This avoids the risk of human error in the machine and also achieves a mirror-polished finish. In addition, the automation digital control brings even more advantages: a perfect repeatability of the internal forms in series rays homogeneous ensuring the tangent points with a maximum precision. AUTOMOTIVE In the automotive sector, quality is paramount. 100% of the production is reviewed, and the slightest failure is not accepted. Suppliers of automobile manufacturers must have reliable tools constantly. These parts with a technical difficulty more and more important, where each step goes beyond the limits that seemed previously impossible. WFMT GROUP has seen all these technological advances and has accumulated a huge experience in the design and production of tools for the automotive industry. 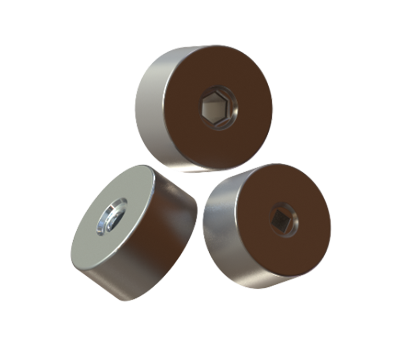 MOUNTING The industry of the fastening elements is a traditional activity for WFMT GROUP. In addition to the automotive sector, WFMT GROUP is present in other markets such as supplies annexes, construction, or furnishing. In the interior of all these markets, the tooling needs are greatly diversified. Therefore the characteristics of the tools necessary dimensions, qualities and types are very heterogeneous. Each process requires a different tool, and WFMT GROUP accumulate the necessary experience in the development and production of the most suitable tools every occasion. WFMT GROUP helps customers to find solutions to the problems imposed by technological innovation. SINTERING WFMT GROUP offers technical assistance and provides the tools for manufacturers compressed metal powder, with a particular focus on the automotive sector. Customers around the world rely on WFMT GROUP when they need quality tools, or to find the solution to a technical problem related to their tools. WFMT GROUP has developed the ability to recovery tools so that they can be reused, thereby reducing the costs of production. 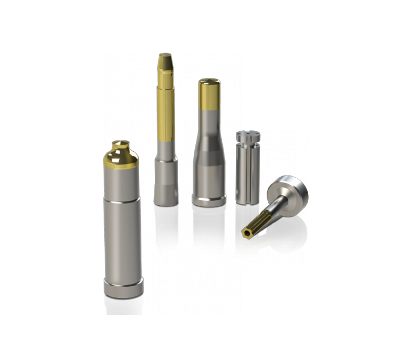 WFMT GROUP manufactures tools with smallest tolerances That is gives possibility work in markets with the toughest technical challenges. BALLISTICS In the creation of ammunition, it is necessary to use carbide dies, with high precision for a perfect series production. With a quality 100% guarantee, customers expect from WFMT GROUP matrices, where the dimensions remain the same, with very tight tolerances and with points tangent accurate in every matrix. 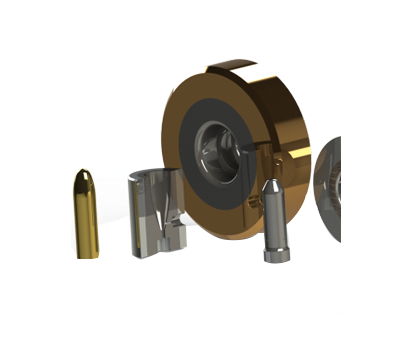 WFMT GROUP has the ideal technology to produce the tools that its customers, manufacturers of ammunition. 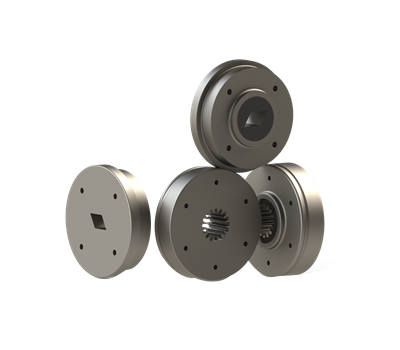 WFMT GROUP tooling allows ensuring long series with a perfect repeatability. BEARINGS The matrices carbide are used in the manufacture of different types of bearings. Tools need to be very precise and with a long lifespan that will allow them to get the finishes needed to produce quality products. Either for the automotive sector or to other sectors, the matrices S.G. WFMT GROUP for the production of bearings are used everywhere in the world. The most challenging companies around. The most of worldwide companies with challenging technical orders rely on the quality of WFMT GROUP. WFMT GROUP doing a lot in order to enhance its image and strengthen its world leader position in the market of high precision carbide tooling for cold forming. WFMT GROUP has consolidate its strength in the market, both as among current as prospective client. We also produce products for our partners. With our help you can order from them the parts and equipment you are interested in. Or contact them directly by clicking on the links to their websites. The factories of our partners use production technologies with the use of a large amount of carbide products. First of all, it is cutting, extrusion, hexabular, header, trimming, reduction, drawing dies etc. Also matrices trilobar, hexabular, reduction. The final products of our partner factories are thread tapping, screw forming and cold forming machines. You can order and buy any type of this product with our help. YIBAO and FNGYI produce all tape of thread dies. Thread rolling plates, thread tappers, thread rolling flats etc. One of the best quality and the best price. 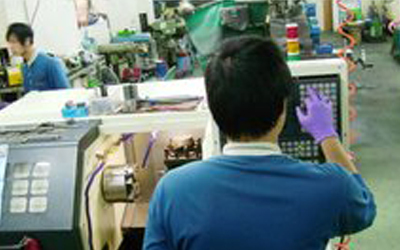 FANG YI PRECISION FIXTURE is one of bigest factories in Taiwan. Most of other carbide kind production.